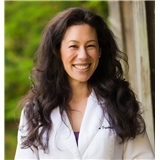 Julia Fredericks DMD, PLLC (Federal Way) - Book Appointment Online! From regular cleanings, check-ups, and fillings, to a complete smile makeover with porcelain veneers, Dr. Julia Fredericks and her knowledgeable staff believe that a healthy, confident smile is beautiful. Great dentist! Great dental office! Great staff!